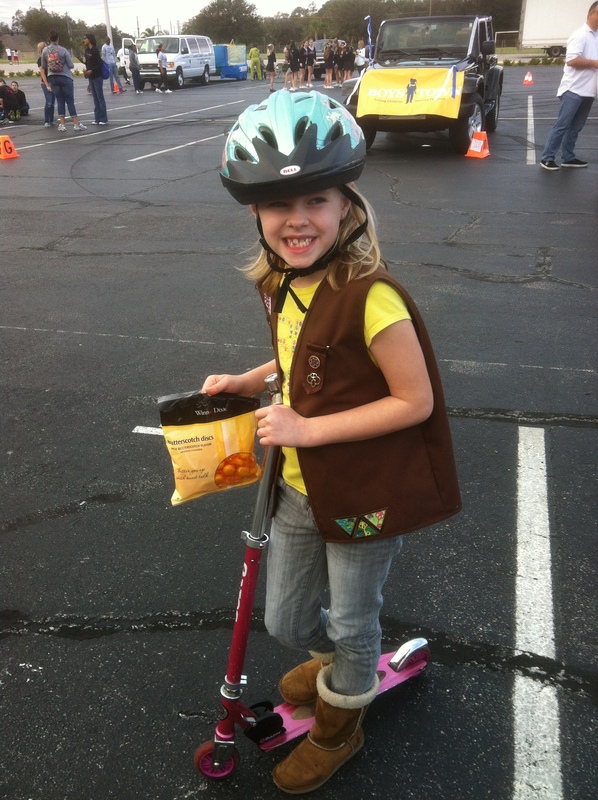 Today Izzy participated in the Oviedo MLK Day Parade along side her other Girl Scouts. The parade started at Oviedo High School and went all the way down Broadway and ended in Round Lake Park. It was a 1.5 mile trek. She rode her scooter and dawned a helmet to protect her cute head. She also had butterscotch candies to throw at the kids along the parade route. She had a ton of fun. 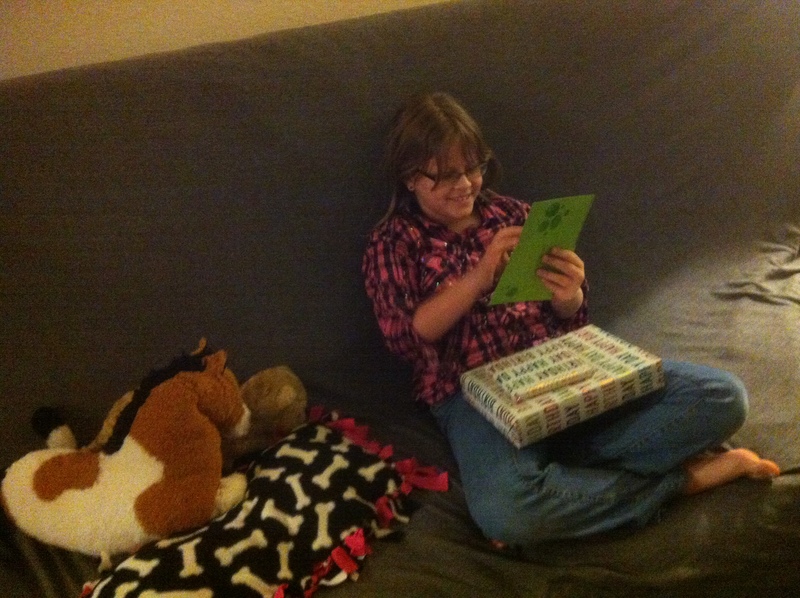 Today Emily turned 10 years old. We spent the day doing what she wanted to do: we went to see the movie The Rise of the Guardians, which they all liked; we ate at Five Guys Hamburgers; and finished it all off with cake at home. She’s going to have a slumber party with some of her friends in a few weeks to celebrate with them. 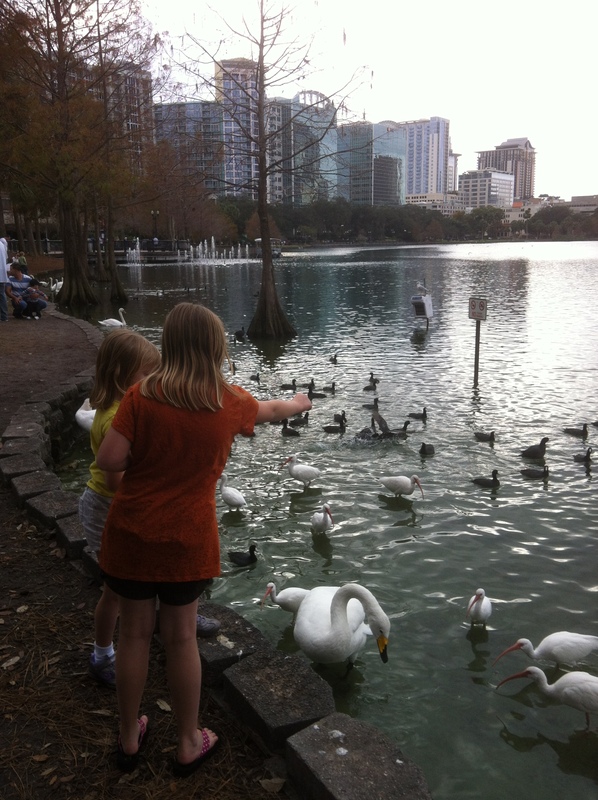 We spent the afternoon at Lake Eola in downtown Orlando feeding the swans and ducks. We took some old bread and broke it up, and fed it to the animals. Emily and Izzy had fun throwing the bread and seeing the birds catch it in the air. Once the bread was gone, we spent the rest of the afternoon on the playground.